People resembling celebrities isn’t really that uncommon nowadays. 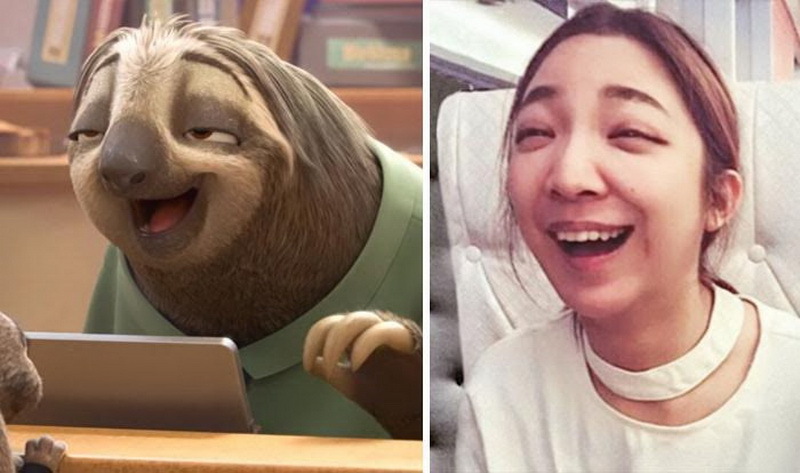 But have you ever heard people look similar to famous cartoon characters? Now that is something really rare. 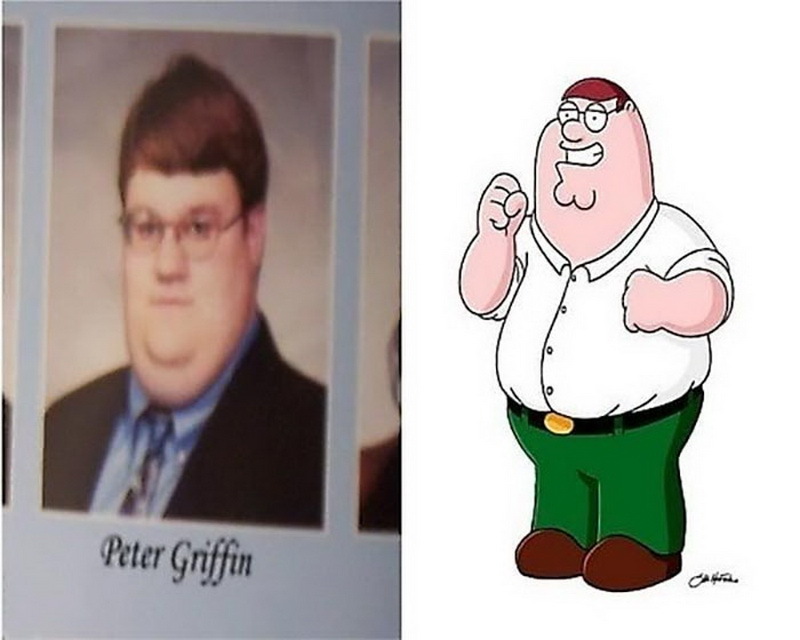 In this article, we will be talking about 16 people who closely resemble famous cartoon characters such as Peter Griffin from “Family Guy”, Ned Flanders and Woody from Toy Story. You can see a picture of that person and a picture of the cartoon character besides that. Now it’s up to you to decide how much they actually look alike. 1. 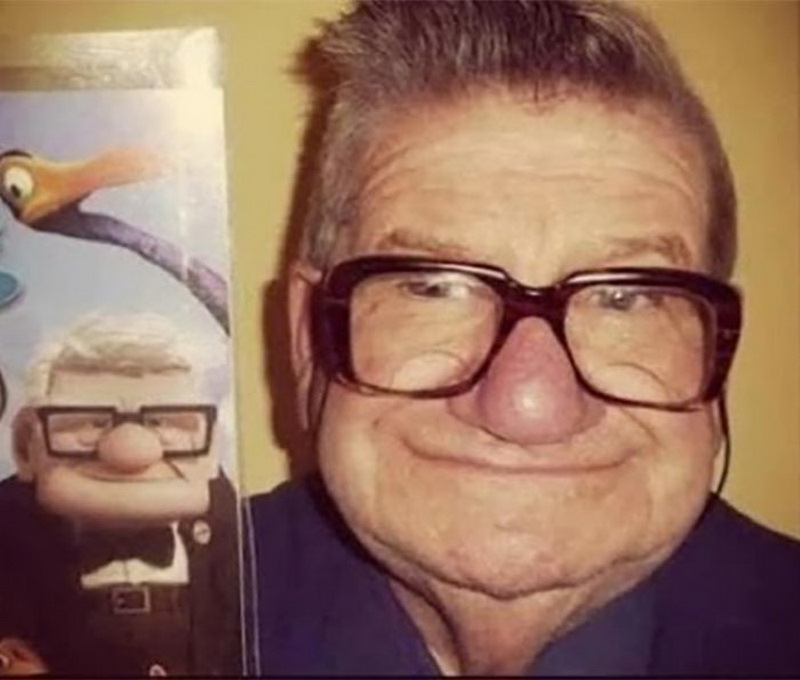 If you have seen the animated movie “Up”, you probably remember the grumpy old man in the movie. This man seems to be a perfect replica of that characters, in fact, their glasses are also same! 2. If you love the Simpsons, then you should have no problem in recognizing this man. 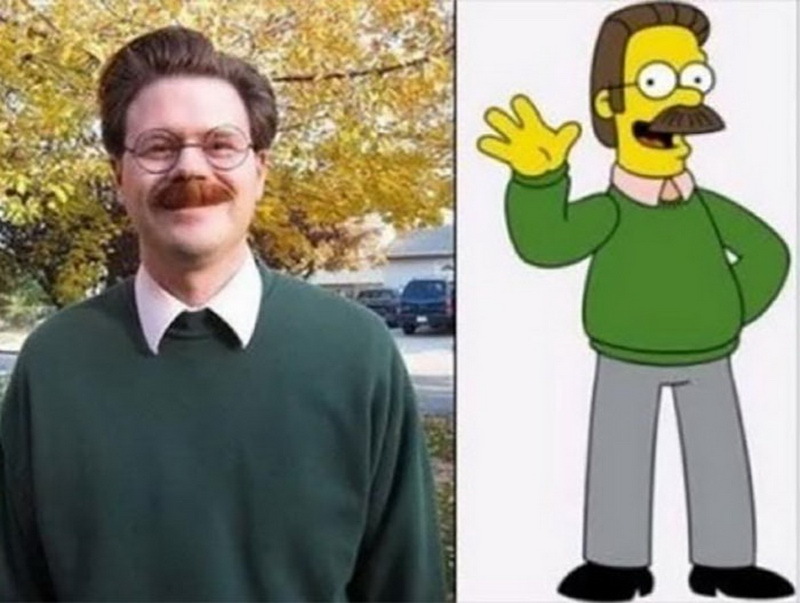 Doesn’t he look exactly like the Simpsons’ neighbor, Ned Flanders? Moreover, the glasses and the hairstyle make it seem as if he is trying to copy that character’s appearance. 3. 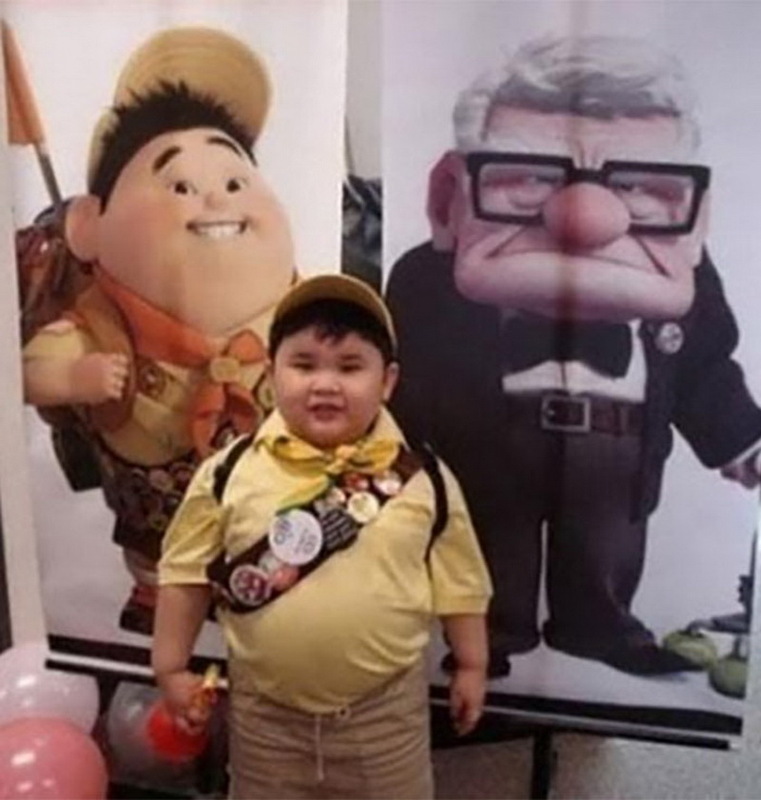 You should be acquainted with the character of the little boy named Russell in the movie “Up”. This little boy looks exactly like him, especially when he is wearing a scout uniform. 4. 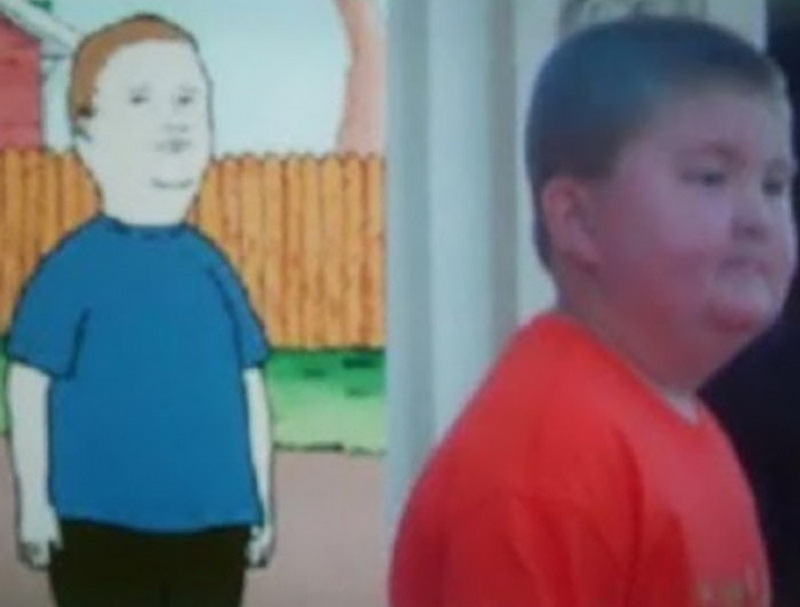 This boy looks exactly like Bobby Hill from ‘King of the Hill.’ If you think about it, its really strange. Also, the buzzcut contributes to the resemblance. 5. Remember the blue character on Sesame Street named Mr. Johnson? 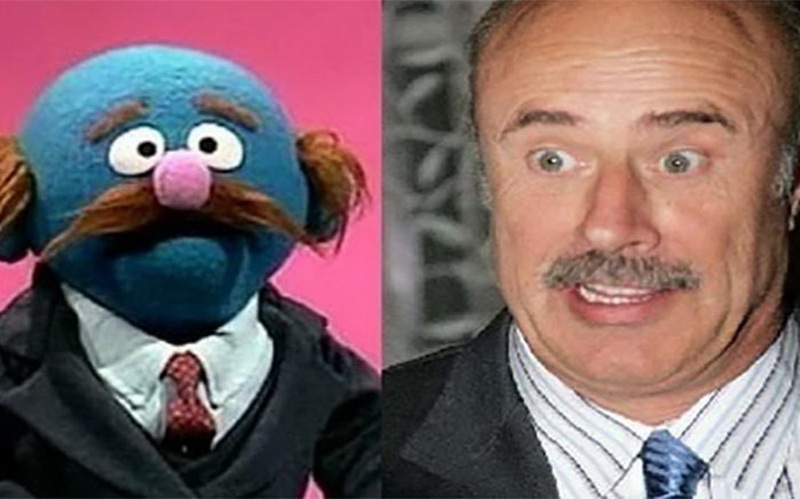 Dr. Phil, a TV personality, strikes a close resemblance to Mr. Johnson. 6. We are back to the Simpsons. 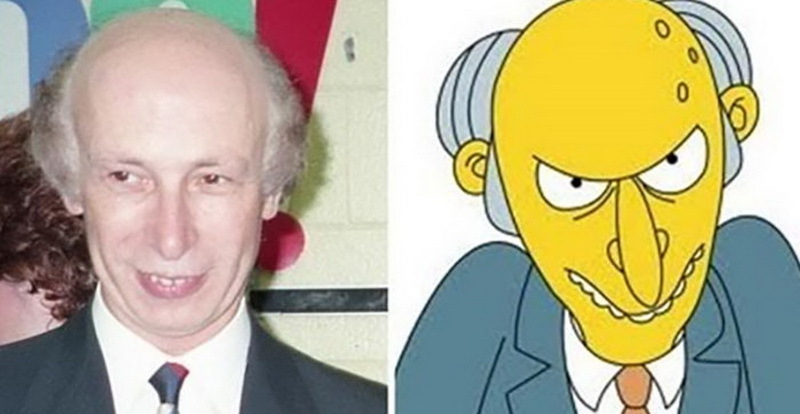 Ever thought how Montgomery Burns would look like in real life? Here, you have your answer! 7. If you watch “Family Guy”, you should know that Consuela is the hilarious cleaning lady on the show. 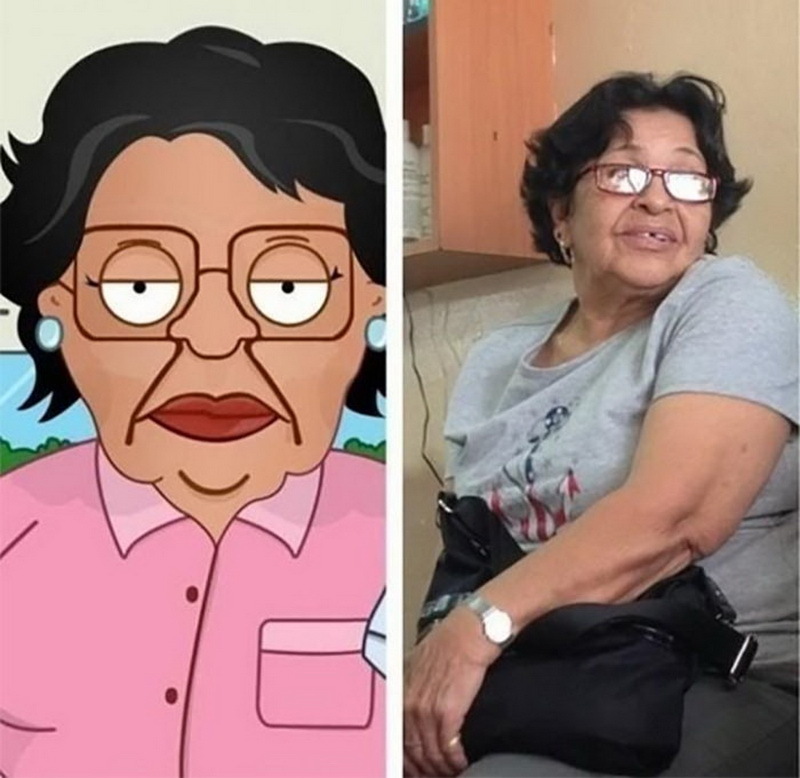 And this lady has a close resemblance to Consuela, especially with the glasses and the haircut. 8. 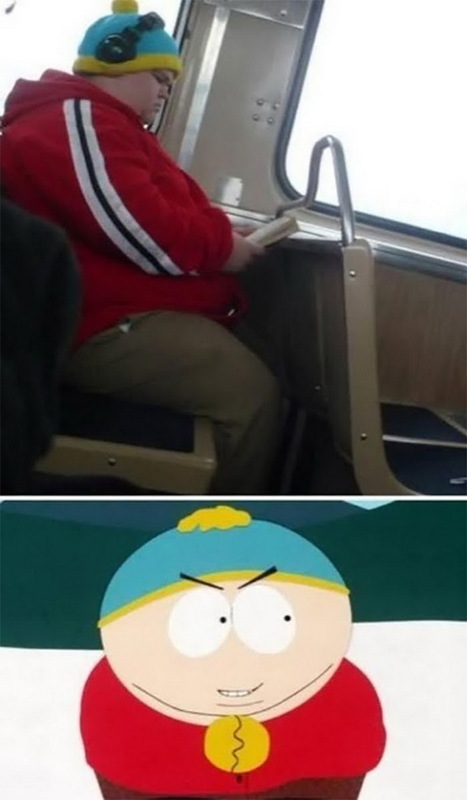 Eric Cartman, one of the boys on the show ‘South Park’ has a bit of an attitude and always wears the same dress. This guy in that dress looks similar to him. 9. 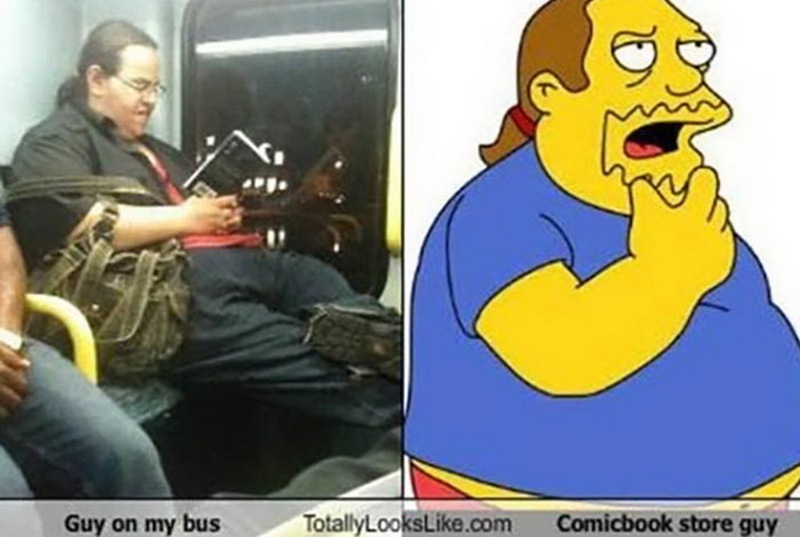 Another reference to the Simpsons, this time, we are referring to the comic guy. This guy looks exactly like him, only a goatee is missing. 10. 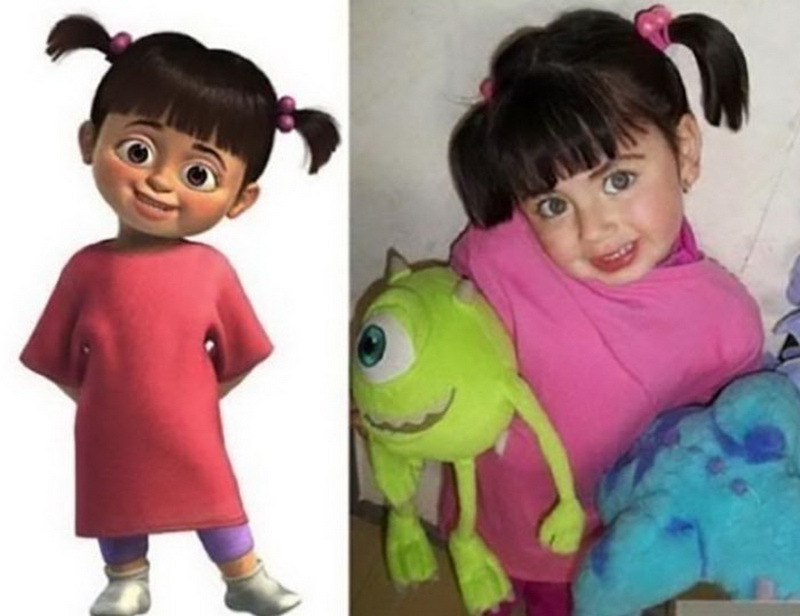 If you have watched the movie “Monster’s Inc.”, then you probably know the little girl Boo, who always wore a pink shirt, and her hair was always in pigtails. This little girl looks just like her and even has the same huge eyes. 11. 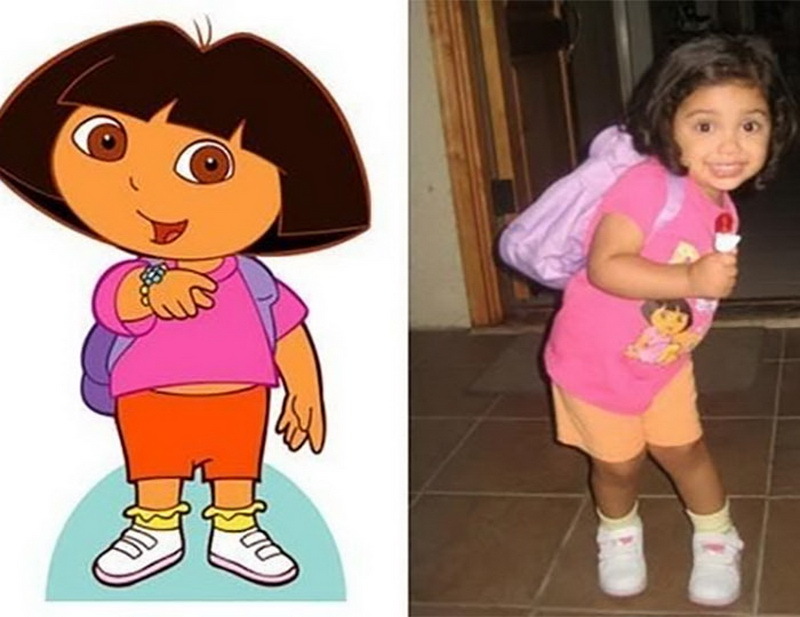 This girl looks exactly like ‘Dora the Explorer.’ . She is even wearing a Dora shirt! 12. 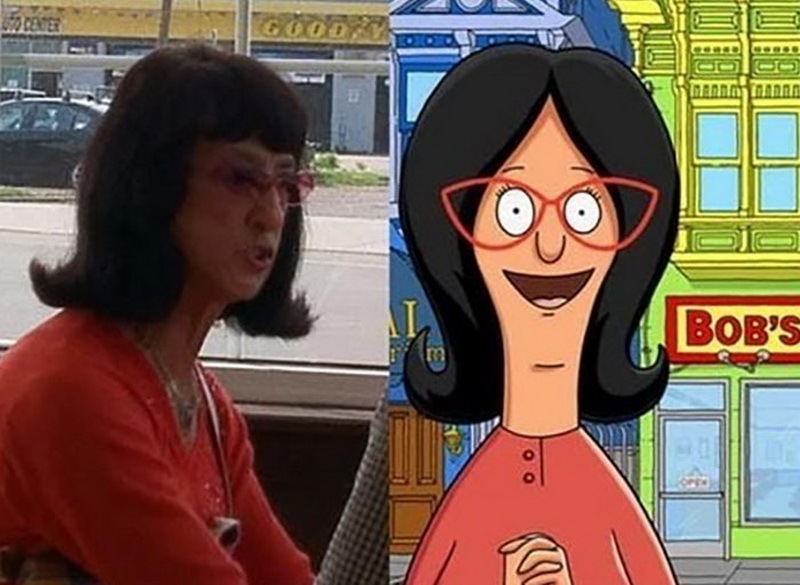 This lady looks similar to Linda Belcher, who is the tall lanky lady on the show, “Bob’s Burgers”. The shirt and glasses are also same, along with her hair style. 13. 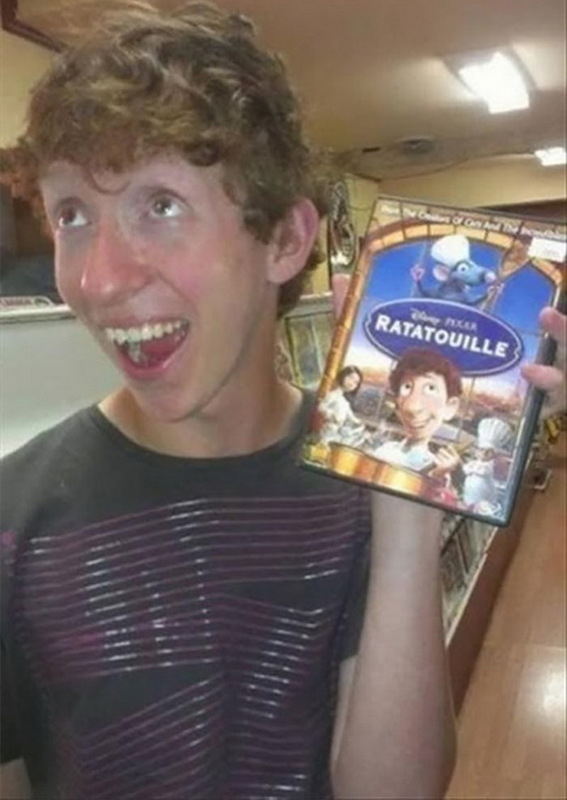 Linguini is the name of the chef in the movie ‘Ratatouille.’ The guy in this picture looks just like him. 14. Who hasn’t watched “Family Guy” right? Well, the guy in this high school yearbook photo resembles Peter. The glasses and hairstyle are the same, and more shockingly so is the face. 15. 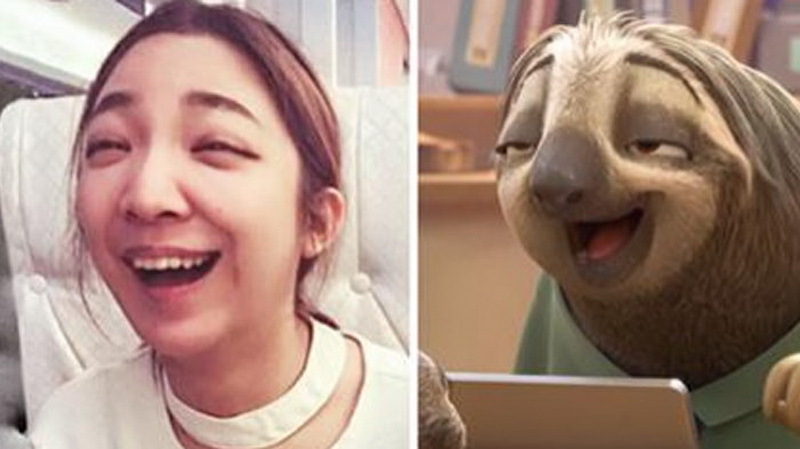 This girl’s expression is the same as that of the character in “Zootopia”. That creepy smile and those eyes make it seem as if they are long-lost twins. 16. Woody is the sarcastic character in the movie series, “Toy Story”. 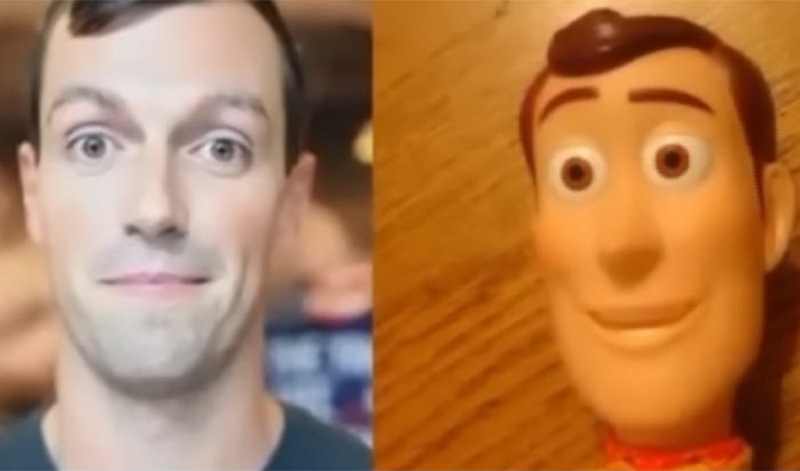 This guy has a long face and wide eyes, which make him look similar to Woody. Don’t forget to let us know what you think in the comments below. Munchkin Kittens: Breed Of Cats Most People Don’t Know About… And Now We’re Completely Obsessed! The 7-Day $ex Challenge May Sound Too Good To Be True But It Could Change Your Life!